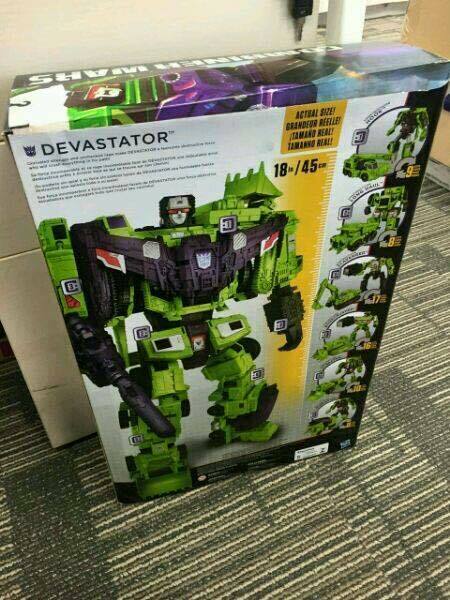 Planet Iacon's posted some new images of CW Titan Devastator on Facebook. Looks much better properly transformed and posed. Still kinda iffy on the individual bots but it's definitely looking a lot more enticing. Aaand it was already frontpaged. Mods, delete or merge this thread with the appropriate one, if it's not supposed to exist. Edited by Shattered, 25 June 2015 - 04:26 PM. Need a better size marker than Kreo Combiner Abominus. it's not even out on the market and yet it has missing pieces. look at his right side treads. Both sets of treads are there though? 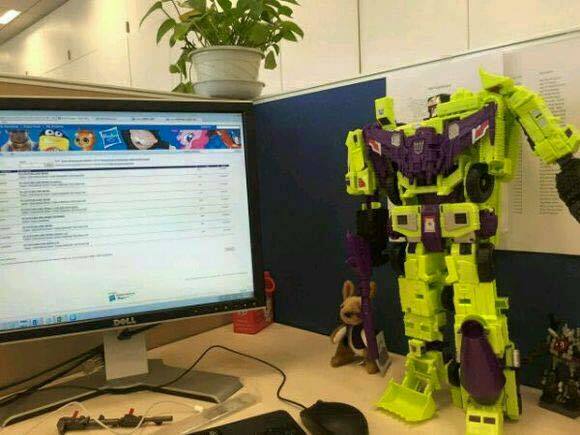 I'd like Devastator to be repainted into Micromaster Sixbuilder (2002 colors). The part that forms Bonecrusher's foot is missing. 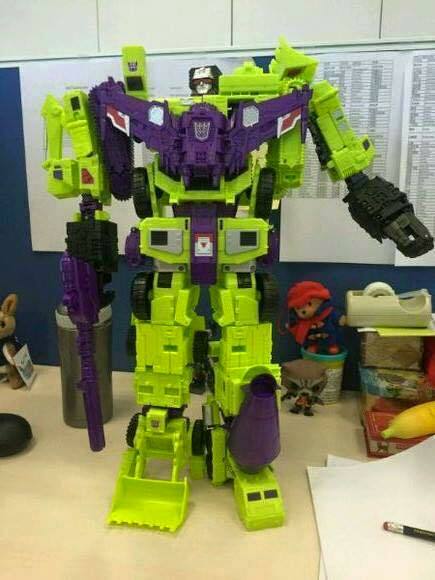 I'm still not sure how I feel about this thing, besides that it sure looks like Devastator. Edited by NotVeryKnightly, 09 May 2015 - 10:47 AM. Looks to me like it's just folded back. The tread part that is. Edited by Walky, 09 May 2015 - 10:47 AM. Oddly, it's this picture that's beginning to sell me on it. That sure is the cartoon Devastator. Can't say they didn't nail what they set out to do here. The box says 18 inches. Grab a tape measure. The pictures are a lot more worksafe than I expected from reading about an "18 inch Devastator." Oh, I know, it's just... I've never seen one so big, and now I realize it's something I've really always wanted to grab a hold of! I'm about to speak heresy. The more pictures of this thing I see, the more I don't want it. The size had already pretty much removed it from my list, but every clearer picture with more angles just confirms more and more that this isn't a thing I want. im glad to hear some people dont want it. makes the chances of me getting it better! this is a figure I actually want 3rd parties to produce accesories for. a set of hands with articulated fingers and something to upgrade the individual components too. But I'm pretty ok with the figures looks so it is'nt really an urgent matter. You're not alone. I was iffy from the beginning, but the more I see, the less I care about it. Guess I'll be turning that cash towards something else instead. Not heresy, the big price tag for such an ugly green mountain is a major turn off, specially when one has other better looking combiners to chase down that aren't going to be cheap either. I like him. Since I'm going to be at SDCC though, I might not be getting this guy if they do a G2 version or something.